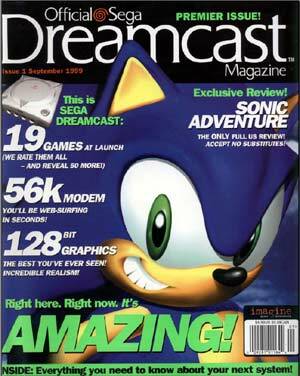 The Dreamcast had an ‘official’ magazine, much like the Playstation had an ‘official’ magazine – a mouthpiece for the brand, generally positive about the games reviewed, lots of PR about the hardwares place in the market etc…. 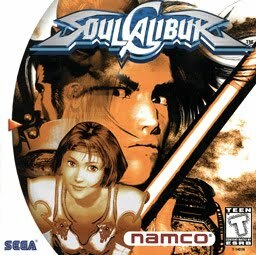 One thing the Dreamcast had in common with the Playstation magazine was the use of cover mounted disks to preview forthcoming games – some were videos, others had playable sections. The fact you could play briefly on Jet Set Radio, Space Channel 5 or Virtua Tennis made the Magazine more attractive for the electronic content rather than the printed page. The problem with the magazine was that there was a dearth of games being released and in development, meaning that unlike the equivalent Playstation magazines or multi format magazines (like C&VG), there was a relative lack of exciting content. There was an independent Dreamcast magazine for the UK market – look!